★★★★★ As featured on the front page of iTunes! ★★★★★ As featured on the front page of iTunes! (9July). Surf the internet at night, in the dark, without straining your eyes and without disturbing others! Must be seen to be appreciated! The difference is night and day! ✔- Fully featured Browser that adds the ability to adjust the screen brightness directly from within the App. ✔- Brightness adjustable to 100x DARKER than the minimum system brightness! 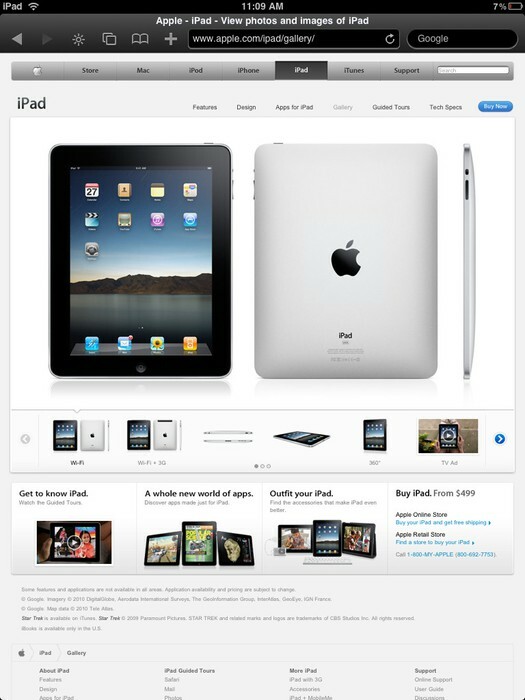 ✔- Fully Featured Browser that mimics the native iPad browsing experience in every other way. As featured on the front page of iTunes! (9July). Surf the internet at night, in the dark, without straining your eyes and without disturbing others! Must be seen to be appreciated! The difference is night and day! Fully featured Browser that adds the ability to adjust the screen brightness directly from within the App. Brightness adjustable to 100x DARKER than the minimum system brightness! 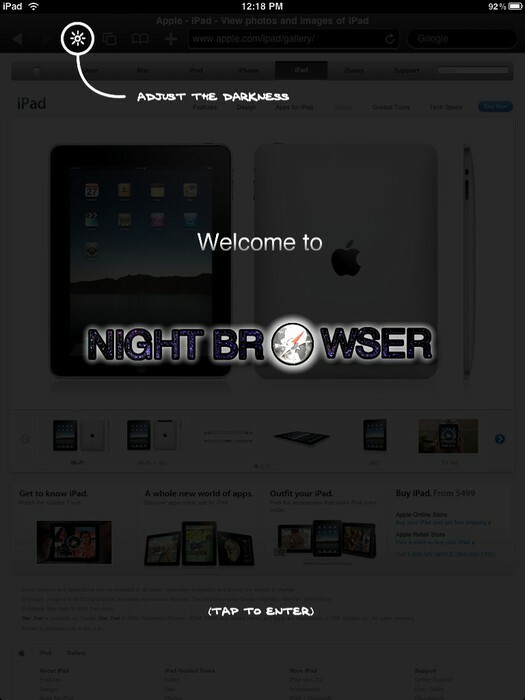 Fully Featured Browser that mimics the native iPad browsing experience in every other way.